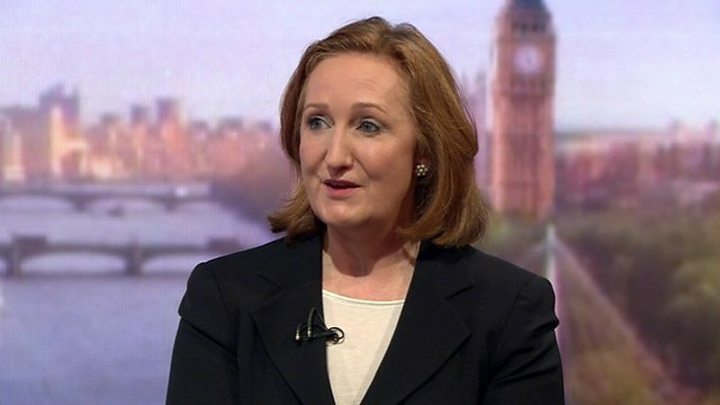 Suzanne Evans and Paul Nuttall have announced they are to run for the leadership of UKIP, with both promising to unite the troubled party. Ms Evans said she would make the party less "toxic" and aim to occupy the "common sense centre" ground. Mr Nuttall, like Ms Evans an ex-party chairman, said he was the man to "bring the factions together". However, interim leader Nigel Farage, speaking about Ms Evans, said: "I won't be voting for her." The party has been in turmoil since the referendum in June, when the UK voted to leave the EU. Where did it all go wrong for UKIP? Mr Farage stood down as leader at the start of July saying he had achieved his political ambition. His successor Diane James resigned earlier this month after only 18 days in the job - leading to Mr Farage's return as interim leader. Last week, Steven Woolfe, who had been one of the front-runners to replace Ms James, quit the party a few days after being involved in an altercation with fellow MEP Mike Hookem. Ms Evans told the BBC's Andrew Marr show that she hoped to "pour oil on troubled water" after there had been "a bit too much testosterone" in UKIP. She said focusing on the centre ground meant "not the wishy washy Lib Dem centre" but a party capable of taking votes from both left and right. She also accused leadership rival Raheem Kassam of seeking to take the party too far to the right and added: "Our 2015 general election manifesto took the best of politics from the left and from the right". Paul Nuttall described himself as the "unity candidate". Yet today's skirmishes show how much UKIP is riven by feuding factions. This leadership contest is about much more than choosing an individual. It's about deciding the future of a party which has been dominated for so long by Nigel Farage and focussed for years on getting - and winning - an EU referendum. While the next leader will want to make sure the government delivers the kind of Brexit UKIP wants, there are longer-term existential questions. These are: how the party stays relevant, what positions it takes on all sorts of other policy areas, and where it places itself on the political spectrum. So far, the signs are the battle for the future could be a bloody one. However, Mr Farage, speaking on ITV's Peston on Sunday, said she would not be receiving his vote, adding: "I don't doubt she has ability, it's just a question of political direction and to kick off her campaign decrying one of the declared candidates is not what we needed." He also dismissed Ms Evans' views that the party should be in the centre ground, saying: "UKIP is a radical political party that pushes for change and needs to go on being a radical political party." Mr Kassam responded to Ms Evans' accusation on Twitter, saying: "It is sad that 60 seconds after she launched her campaign on the BBC, Suzanne Evans attacked me and my thousands of supporters as 'far right'." In a fuller email sent to Ms Evans, he added: "I would hereby request that you cease referring to vast swatches of UKIP as 'far right' and embark upon a positive campaign, structured upon not who you are against, but what you are for." Speaking to Dermot Murnaghan on Sky News, Mr Kassam also said he wanted to unite the party and added: "I think now, especially after that incident with Steven Woolfe in the European Parliament, we have to say this has gone too far. "We are all in the same party and if we wish to remain in the same party let's sit down around a table together." Nominations in the current leadership election close on 31 October, with the eventual winner announced on 28 November. Mr Nuttall said that he had decided to stand for the leadership after the troubles of the past few months, telling Andrew Neil on the BBC's Sunday Politics: "UKIP needs to come together. At the moment it is looking over the edge of a political cliff and it will either step off or step back. I want to be the candidate who will tell us to come backwards." Explaining why, when he didn't stand for the leadership earlier in the year, Mr Nuttall said: "I felt that with Brexit that my job and Nigel's job was done and we could hand over to the next generation. "But that doesn't appear to have been the case and maybe it's time for someone who's an older hand in many ways." He added: "We need a strong UKIP there in the background to ensure that Brexit means Brexit and I believe that UKIP can become the patriotic face of working people."